It is very important to locate the damages of squirrel and their paths by which it travel, so that best squirrel control method could be applied. Squirrel give birth every six months approximately five kits. They have strong and sharp teeth and can chew any kind of material. Squirrel nest is very difficult to locate and it may cause to demean the worth of your property. Precautions are very necessary, Exopest provide you the best precautionary services for squirrel control in Vancouver and throughout Lower Mainland BC . With the help of these significant precautions you may reduce the damages, our technicians will do the following activities to control the Squirrels from your backyard, and lawn. Trim trees and branches within your building, home or location so that squirrel shouldn’t be able to leap. Seal all holes which may squirrels lead inside your place. Get Rid of Squirrels by Squirrel Control Methods by Exopest. Squirrels are the critters. 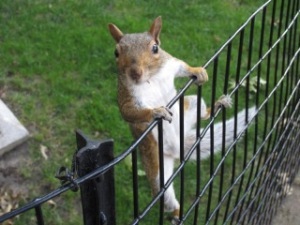 Exopest provide you the best facilities for long term squirrel control. Our company deals with the multiple methods to locate squirrel and trap them manually. We provide you best squirrel control products, e.g. repellent products that will help you to prevent from multiple problems. Sprays which disinfect the area where they made a nest as there droppings and pee carry a lot of germs and virus. We use instant techniques as well, like live trap or one way trap which are more helpful and useful in squirrel control. We are here for you to prevent you by taking preventative measures. Call us anytime at 604-760-1542, we are always there for you. Click here for a FREE!!! Squirrel Control Quote.